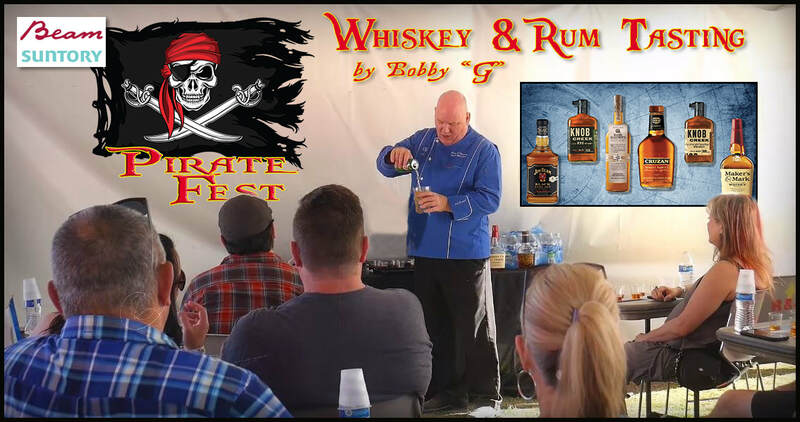 Join us at Pirate Fest April 27 & 28 for our 2nd Annual Whiskey Tasting! While most Pirates drink Rum, those with a more refined palate( and more doubloons ) chose a fine whiskey! Take one of our Whiskey Tastings and you too will develop a more refined palate! Beam/Suntory is the proud sponsor of the Pirate Fest Whiskey Tasting. You will sample from their fine stable of whiskies, learning about each and what makes them unique. And you'll feel good about it, why? ALL proceeds from the Tasting benefit the local charity Paradise Ranch Foundation! Our mission is to offer mental health services provided by experts combined with the healing power of horses. Come learn about whiskey and help a local cause!